The center has a large main stage with 17 rows of stadium-style seating, making it effortless for any patron to enjoy a great view of the show that's also close to the on-stage action. The seats are comfortable and accommodating, and there is special seating available as well for theater patrons with mobility issues. The performances held at the USCB Center for the Arts vary widely, and virtually every month brings a new selection of special events. Dramatic performances and plays generally run for a week or so, with weekend evening performances, ensuring that theater-goers have ample opportunities to fit a performance or two into their schedule. Other special events, like concerts or special guest performers, are typically one-night-only affairs, so patrons are advised to reserve their tickets early to ensure a seat. The USCB Center for the Arts also hosts an Independent Film series where critically acclaimed movies that don't normally make it to the mainstream multiplexes are shown in the expansive theater. 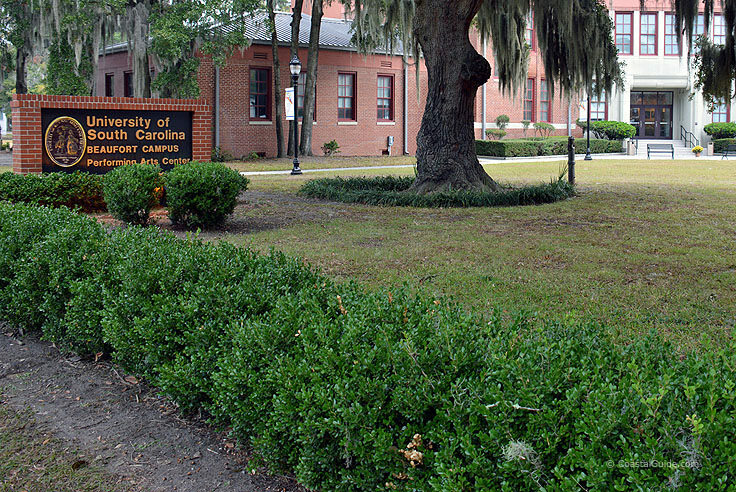 Tickets are available online to purchase at http://www.uscbcenterforthearts.com/#!untitled/sitepage_1and theater-goers can stay up-to-date on the upcoming events at the center's main website at http://www.uscbcenterforthearts.com/#!other-events/c16i7. Recent productions and events include a staging of Macbeth, (to coincide with Shakespeare's 450th birthday), and a musical salute to the great blues and jazz musicians of the 1940s and 1950s. 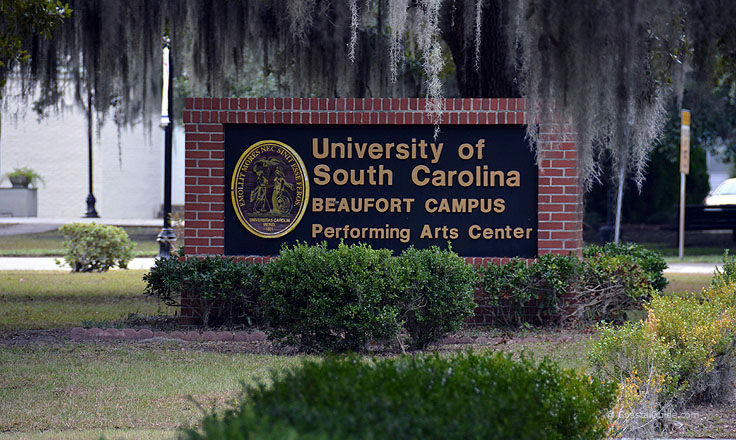 All the performers are top-notch, and many are affiliated with the University of South Carolina at Beaufort, so patrons can rest assured that a magnificent show is in store, regardless of the event. In addition to regular performances and Indie flicks, the USCB Center for the Arts also has sporadic art exhibits, which feature the works of local and regional acclaimed artists. Held in small gallery rooms adjacent to the main theater, the exhibits are an exciting way for locals and visitors alike to experience the works of South Carolina's up-and-comers, and established local artists. 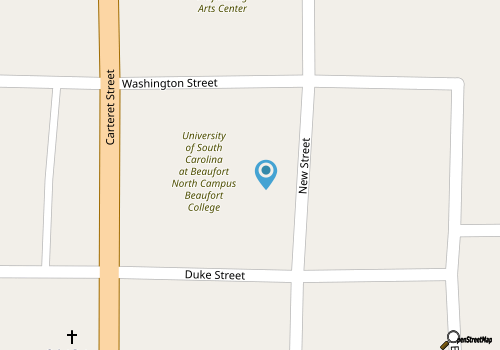 Visitors can also get last-minute updates on both shows and gallery exhibits on the center's Facebook page at https://www.facebook.com/pages/USCB-Center-for-the-Arts/120247638017111. 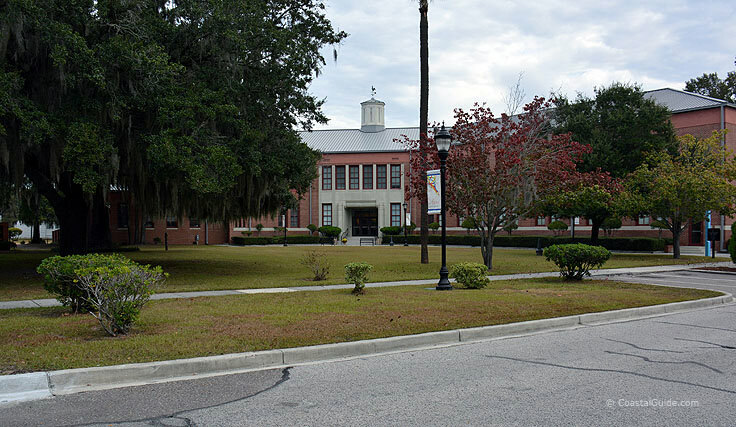 The USCB Center for the Arts is located in the northeastern region of Downtown Beaufort in a sprawling brick building with plenty of curbside parking. 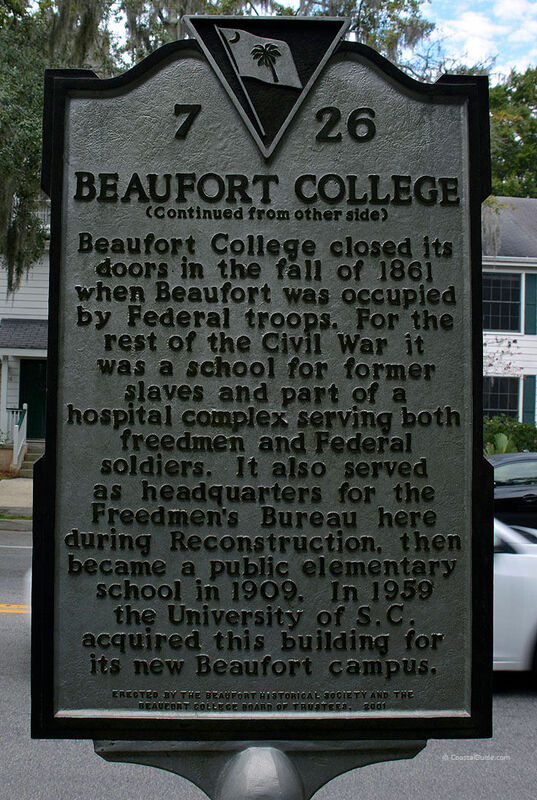 Additional parking is located on either side of the center, and visitors who arrive early can take in a pretty stroll along Carteret Street, (also known as Business Highway 21), for striking natural landscaping and open views of the Beaufort River just a block or two away. Advanced reservations are always recommended, and tickets can be purchased both online, or at the center itself at the small box office which is typically open Monday through Friday during regular business hours. Ticket prices can range widely depending on the performance, but rarely exceed $20 or so. Special discounts are also given to seniors and current USCB students. 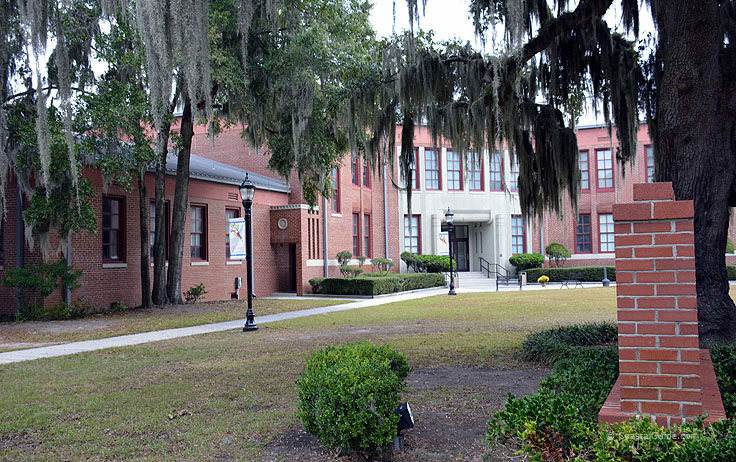 Beaufort has a thriving arts component, including the Beaufort Children's Theater and the Beaufort Theater Company, which has a permanent home at the renowned and welcoming USCB Center for the Arts. A fun night out for any visitor or seasoned local, the expansive center is an exceptional way for theater-goers to enjoy a world-class production at a nominal cost. 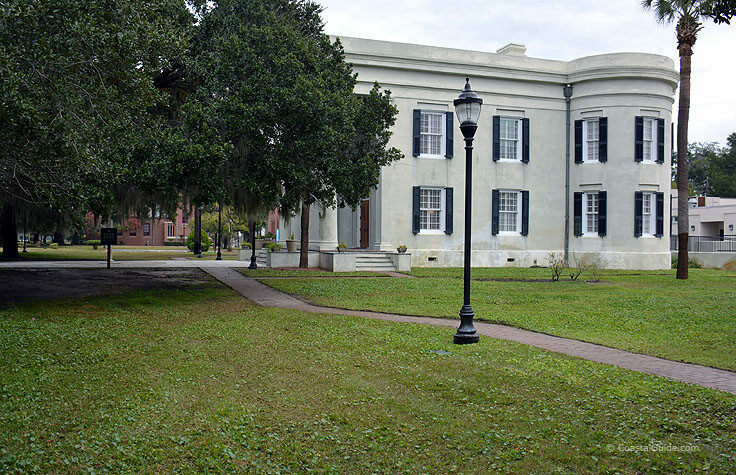 Wide open to the public with regular performances in all mediums, everyone should check out the local events calendars, and squeeze in a night or two at this exceptional and acclaim-worthy Beaufort event venue.